Watch the event in our livestream - tune in at 6 pm. "We are living in very dangerous times. Right here in the heart of Europe forces of good and of intolerance are on a collision course. Across the English Channel there are forces bent on wrecking a magnificent social, political and security architecture built over many decades pushing Europe towards the abyss of chaos and irrelevance. In the course of over 40 years, starting as an innocent and romantic believer in the promises and possibilities of the United Nations, I have seen the best – when the UN lived up to the expectations of the people it deployed to protect – but also I witnessed or heard heart wrenching stories of shocking betrayals on other front lines. I have engaged with UN personnel in my own country and in remote outposts where dedicated field staff absorb the indifference of headquarters, whose envoys descend to evaluate the mission, yet things stayed the same. The UN can do better. We are all the UN and we can and must do better." H.E. 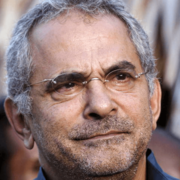 José Ramos-Horta is former President of the Republic of Timor-Leste and a Nobel Peace Prize Laureate. He is a Member of the Council of State of the Advisory Body to the President of the Republic of Timor-Leste and most recently served as a Member of the UN Secretary-General High Level Board on Mediation until 2018. He also serves as Commissioner in the Global Commission on Drug Policy in Geneva. Between 1975 and 1999, Ramos-Horta was Minister for Foreign Affairs and Information in the first government of Timor-Leste, which was proclaimed in December 1975 following the country’s Unilateral Declaration of Independence. He was also Representative and Spokesperson for the Resistance during this time. For over two decades, he served as an international spokesperson, extensively lobbying governments and creating networks of supporters for the cause of his people. For these remarkable efforts he was awarded the Nobel Peace Prize in 1996 with his countryman, Bishop Carlos Belo. He served as President of the Republic from 2007 until 2012. After his presidency, Ramos-Horta was called on by former UN Secretary-General, Ban Ki-Moon, to serve as a Special Representative for Guinea Bissau. He later chaired the UN High-Level Panel on Peace Operations and served as External Advisor to the President of the UN General Assembly until 2018. He has been a Member of the Honorary Advisory Council of the Institute for Global Law and Policy at Harvard University since 2012 and received Doctor Honoris Causa from Universities in Australia, Japan, Korea, Thailand, The Philippines, Brazil, Portugal and the U.S. He writes extensively on international affairs in the media and has authored several books, including Words Of Hope: Speeches, Essays (Longueville Media, 2018). Inge Kaul is Adjunct at the Hertie School and served as the first director of the Human Development Report office of UNDP, New York, between 1989 and 1995 and later as director of UNDP’s Office of Development Studies. 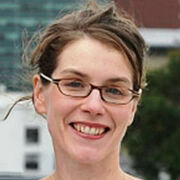 Her publications include Global Public Goods (Cheltenham: Edward Elgar, 2016), Providing Global Public Goods; Managing Globalization (New York: OUP, 2003) and The New Public Finance; Responding to Global Challenges (New York: OUP, 2006). 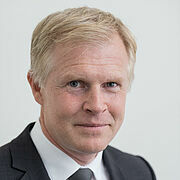 Henrik Enderlein is President of Hertie School of Governance and Director, Jacques Delors Institut – Berlin. 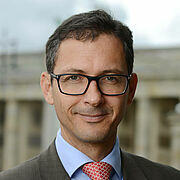 Richard Kühnel is Head of Representation of the European Commission in Germany and Member of the Practice Council at the Hertie School of Governance. Top global thinkers discuss development in the European Union countries. The series “Kapuscinski Development Lectures”, named for Ryszard Kapuscinski, a Polish reporter and writer who covered developing countries, is organized jointly by the European Commission, the United Nations Development Programme and partner universities and development think-tanks. Over 100 lectures gathered since 2009 over 30,000 participants. The lecture series offers students from the European Union member states an unprecedented opportunity to learn and discuss about development issues such as climate change, human rights, aid effectiveness, Europe-Africa relations, Sustainable Development Goals among other. The high-level events contribute to the debate and formulation of the European development policy. The project is a joint initiative of the European Commission, the United Nations Development Programme and the Hertie School of Governance. The Kapuscinski Development Lectures series and the Hertie School of Governance reserve the right to publish photographic, audio and film documentation of this event in print, online, and audiovisual formats. By registering for the event you consent to appear in the documentation.